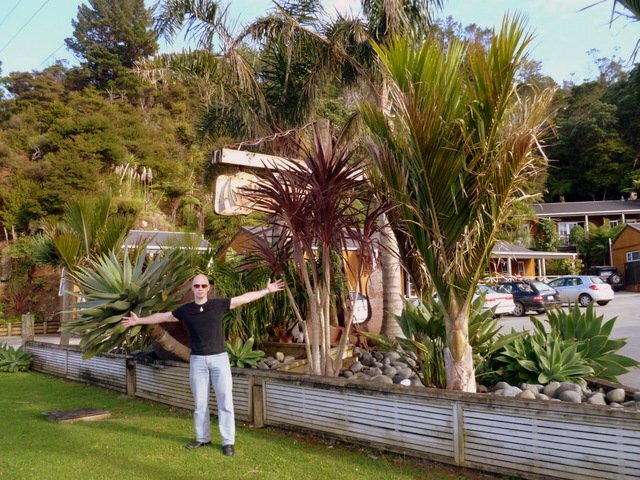 We arrived at Coromandel Bay, and checked into The Anchor Lodge. It's a renovated boat house with a pool, hot tub, gold mine, and glow worm cave (this part of NZ is famous for gold mining and glow worm caves, so color us excited to find a hostel offering both! For free! ).